Last in the series on Snow's Beef Jerky is this Hot variety. See my previous review of their Regular variety. They offer four flavors as of this writing, but have plans to introduce several others soon, including many other varieties of hot. I only have their Regular and this Hot variety. The first thing I taste from the surface of these pieces is a light oily flavor, a light saltiness, a light sweetness, and light soy sauce. The chewing flavor starts with a bit more definition from the soy sauce, while the saltiness picks up a bit. There's a faint bit of heat noticeable. For being labeled as "Hot", this doesn't stand up well. There's just a faint bit of heat in this, not anything I would consider "hot". On my personal heat scale, I'd still rank this as mild (level 1 out of 5). I don't taste any flavors I would normally associate with heat, such as chile pepper or black pepper. 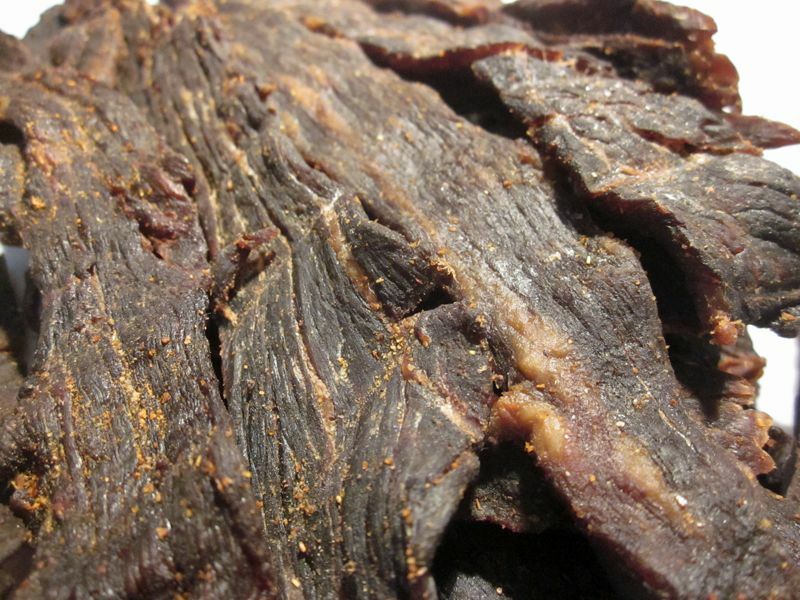 Otherwise, the dominant flavor of this jerky is that light soy sauce flavor touched with a light bit of sweet. There's a light oily flavor noticeable in some pieces due to visible streaks of fat running through them. The natural meat flavors are very light, almost not detectable until I get to the last few chews before swallowing when the soy sauce flavor wears off. The saltiness feels to be at a medium level of intensity. 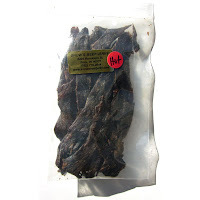 Overall, it's a simple tasting jerky providing a light soy sauce and light sweet flavor. This isn't hot at all, but actually more like mild. 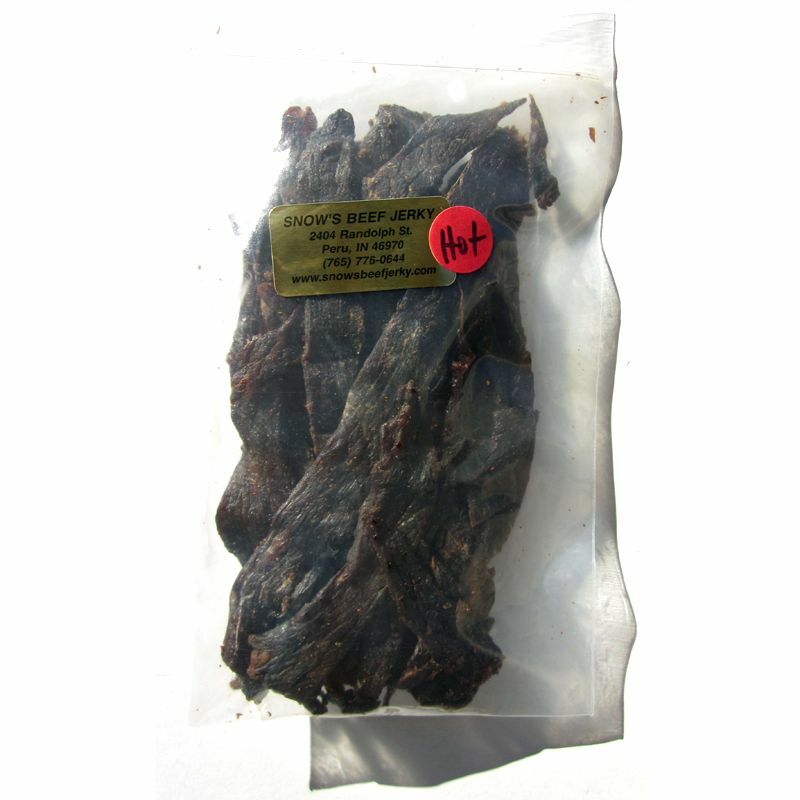 Snow's Beef Jerky sells this Hot variety from its website at a price of $12.00 for a 5oz package. If you buy two packages, sent to Southern California, shipping costs come to $7.50 for a total of $31.50. That works out to $3.15. As a Hot beef jerky, at the same $3.15 per ounce price, it's poor value. It doesn't deliver any heat for my money as far as I'm concerned. This is actually mild by my standards. 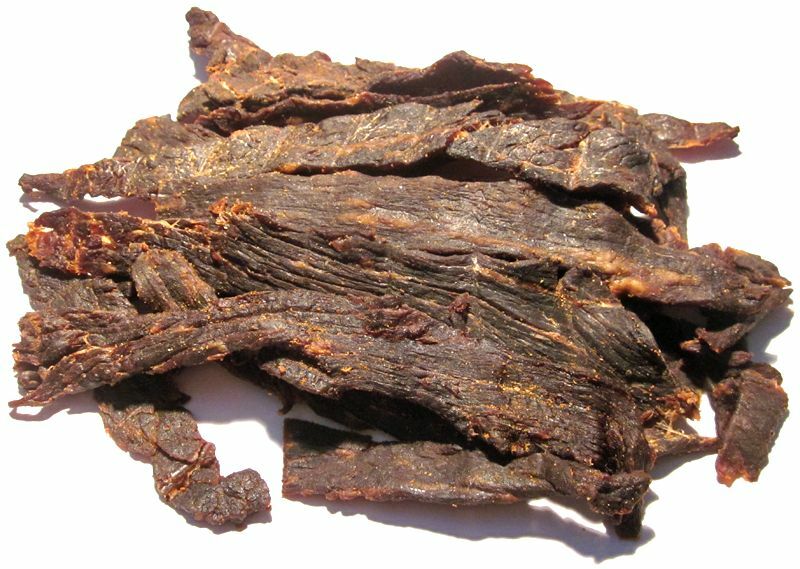 You can get much hotter jerky if you buy a bag of Jack Link's Carne Seca or a bag of Oberto Habanero Beef Jerky, and you'll pay between $1.75 to $2.00 per ounce. This Hot variety from Snow's Beef Jerky doesn't provide any heat that I can tell. If anything, there's just a faint bit of spiciness, but still doesn't generate any heat. Otherwise it seems to have the same flavor as their Regular variety, mostly a light soy sauce flavor and light sweet, with a moderate saltiness. I gave Snow's Beef Jerky a three-star rating for its Regular variety, and even though I say this Hot variety tastes just like the Regular, I knocked this down another level because it doesn't hold up to its advertised flavor of "Hot" to any significant degree. But evaluating this on its own merits it seems to provide an average amount of snackability for a satisfactory flavor and good meat consistency and good chewing texture. I don't find anything extraordinary about this jerky that would set it above average, however. It just fails to deliver the snackability that a hot foods lover would expect to get for their money. My recommended beer pairing is to stick with the nutty brown ale. Go with a Rogue Hazelnut Brown or the Abita Pecan Harvest Ale.